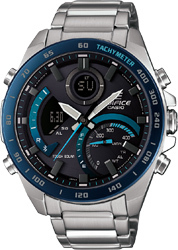 Introducing the latest additions to the ECB-900 Series of EDIFICE metal chronograph models with advanced features and functions that allow linking with your smartphone. These new models feature digital displays at 12 o'clock and 9 o'clock, which team up with the analog indications to show information in an easy-to-understand format. 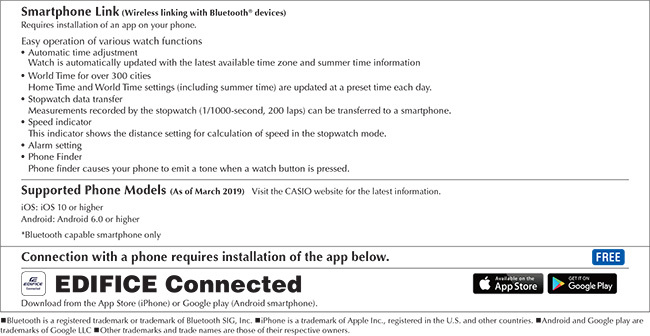 Establishing a Bluetooth connection between these watches and a smartphone ensures accurate timekeeping, including summer time switching, in virtually any country in the world. A phone can also be used to configure a variety of watch settings. 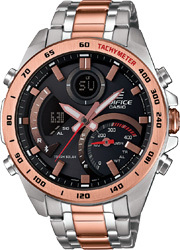 A motorsports inspired 1/1000-second stopwatch comes with memory for 200 lap time records, and recording a lap time causes the lower right dial to indicate the average speed. A smartphone app lets you select from more than 300 cities for your World Time City, and simplifies alarm and countdown timer settings. These watches also come with Super Illuminator, which uses high-brightness LED illumination that automatically illuminates both the analog face and the digital displays are automatically illuminated whenever you angle the watch towards your face where lighting is dim. 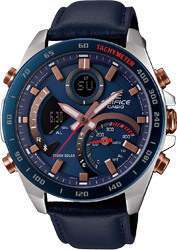 This impressive collection of advanced features and functions is powered by a solar power system, with a CASIOoriginal shade dispersing solar panel that minimizes shading from the watch hands for highly efficient power generation. The result is uninterrupted, reliable operation without the need for periodic battery replacements. 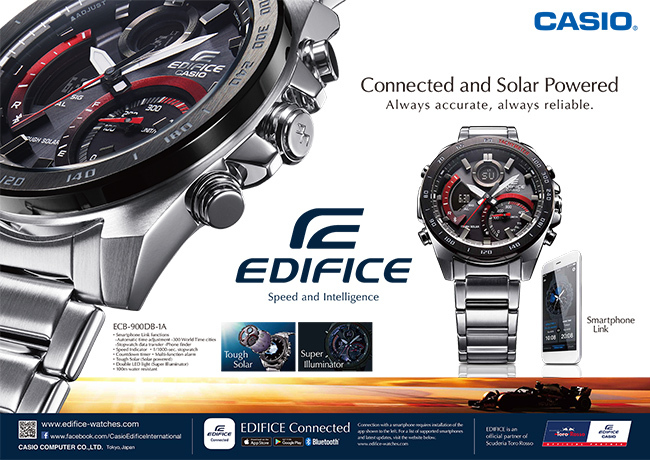 All of this and much more makes EDIFICE a leader in the 1/1000-second world of modern motorsports.